Valentine’s Day is only two week’s away and so today I’m actually ahead of the game for once! 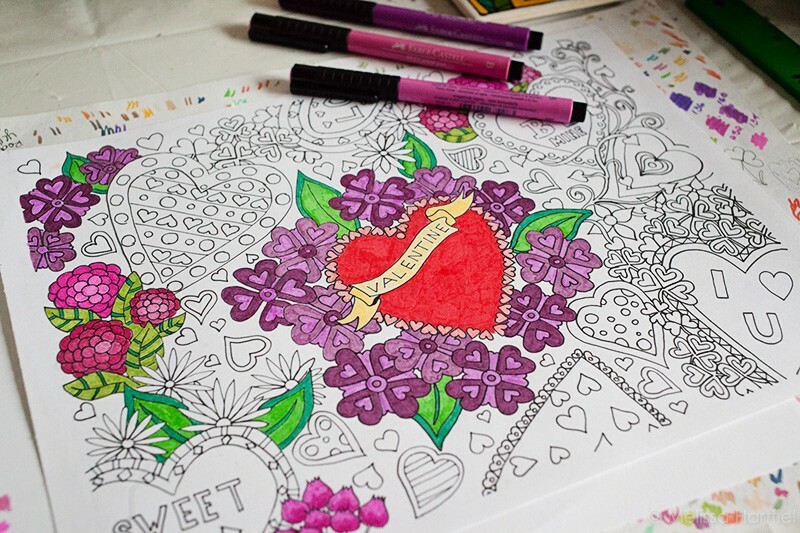 I spent some time this month putting together a fun Valentine’s colouring download for you all to try – the 2016 version of Valentine Heart Art! 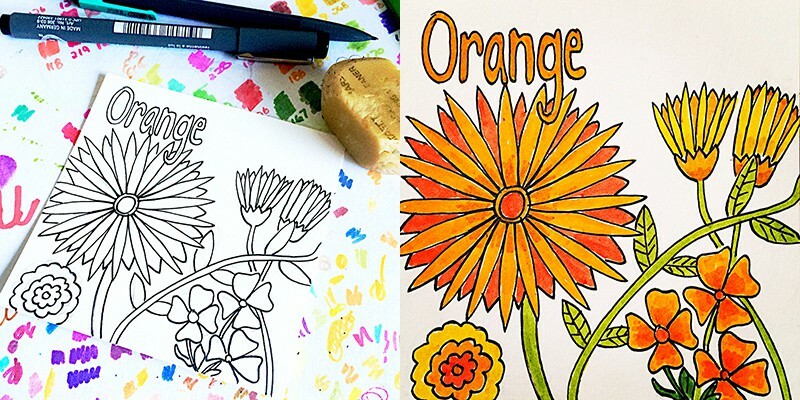 And… and… I have a cute colouring book giveaway as well! I haven’t really done an “inside my studio” update for a while but that doesn’t mean I haven’t been doodling away! I traveled a fair amount in December and January so that always means paring down what I take with me when I pack up. After I finished up the 100 Day Project and saw what a pain it was to travel with my big sketchbook I started looking for a new solution and I found Strathmore’s Artist Tiles. These are perfect for me – not just when I travel but all the time. I love the small format (I mostly use the 4in x 4in 300 Bristol Artist Tiles) and they come nicely packaged so I can pop them in a pencil case or in my suitcase and not worry about getting them covered in random pencil marks or shoe scuff marks. The little size means they’re perfect for a 10 minute doodle! 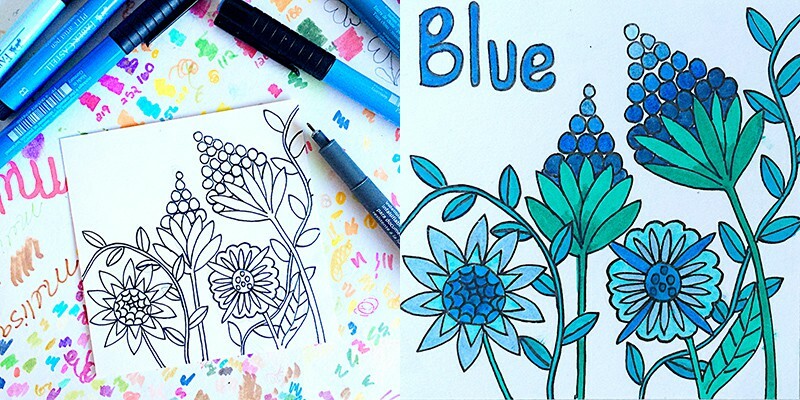 I also love them because they make black tiles as well that are so fun for using gelly markers. I used them to do some January colour pops! (January is such a massively dull month). This gives you an actual sense of how tiny my little doodles actually are! I also stopped by my favourite art shop in Toronto while I was visiting earlier this month. I just like poking around to see what they have and I finally decided to buy some watercolour pencils. A friend has been urging me to try watercolours and I’ve been a bit shy about it. You can’t really correct mistakes easily with watercolours so using them goes way outside the comfort level of this recovering perfectionist! But I thought maybe if I started off with watercolour pencils it would be like training wheels – especially before spending money on paints. So I bought a set of Staedtler Karat Aquarell Pencils and have been mucking around with them. So far it’s been fun. I posted a few photos to my instagram account that you can check out. 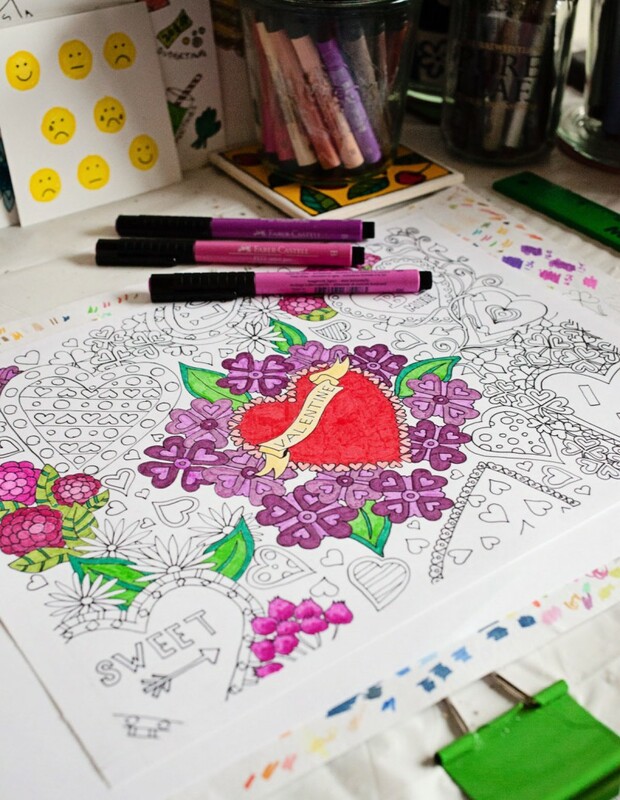 And so now… on to the colouring download and the giveaway! 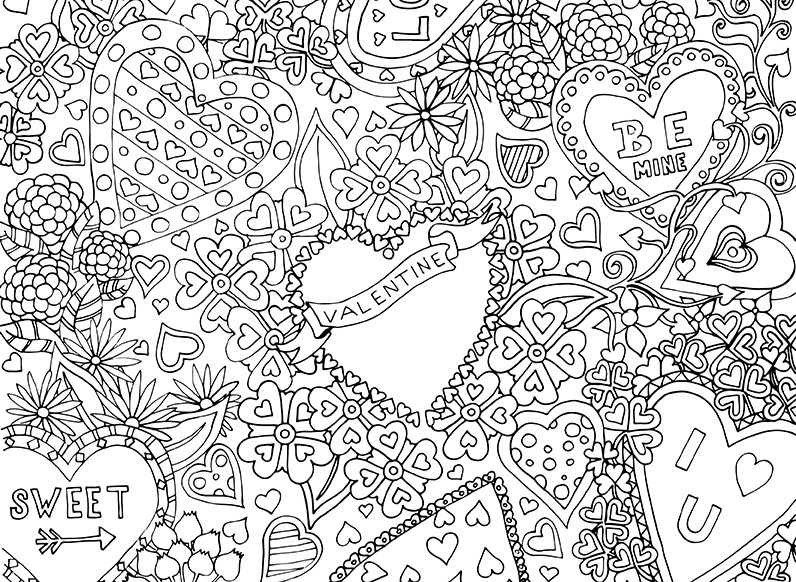 You can download my latest Valentine’s colouring sheet here. I’d love to see your finished work. I’m currently working on mine. I didn’t want to share the whole thing because I want you all to colour it “without influence” lol. It’s in PDF format and you can print it off on regular 8.5×11 paper. 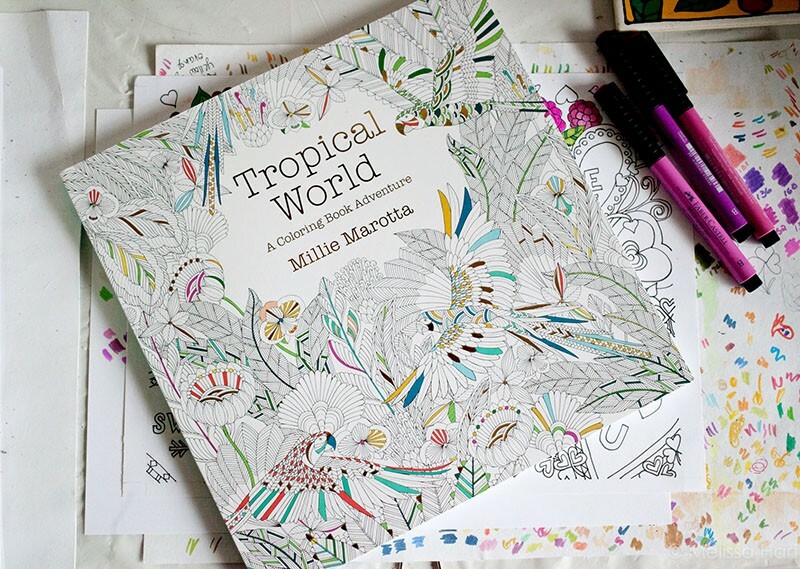 I’m also giving away a copy of Tropical World by Millie Marotta! It’s packed with fun tropical inspired designs to colour and I have somehow wound up with two copies so I thought I would give one away here! You can enter through rafflecopter. You must be a resident of Canada or the US to participate. Good luck! 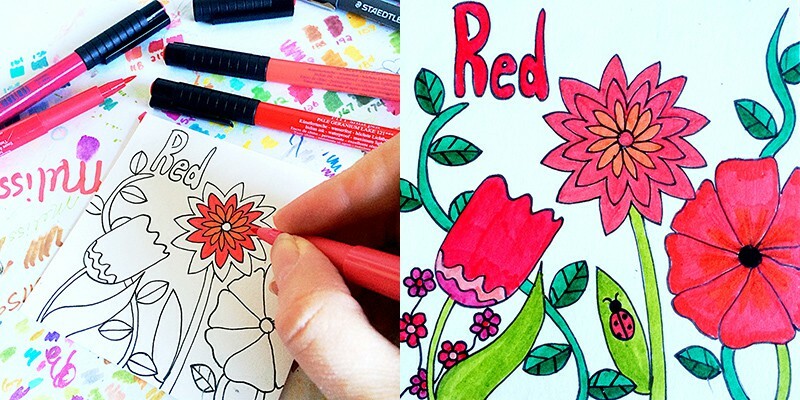 I love that it relaxes me and isn’t about looking at a digital screen!